As one of the most sought-after wedding photographers in Long Island, I capture the unique moments of bridal events several times each year at Chateau Briand. This venue is a luxurious facility which will make your special day unforgettable for you, your betrothed and your guests. Elegant banquet halls, stylish ballrooms, and indoor and outdoor wedding chapels are available. If you prefer to take your vows outdoors, Chateau Briand also has a gorgeous garden, which is perfect for a romantic walk down the aisle surrounded by nature and a celebratory ceremony under the stars. Outdoors, you will enjoy the beauty of the grand gazebo, which is highlighted by flowing drapes and illuminated pillars. The two large-screen television will make sure that your guests don’t miss a single moment of the ceremony. The recently renovated Saturnalia Ballroom will dazzle your wedding party with its luxurious decor, hardwood floors, and state-of-the-art technology. 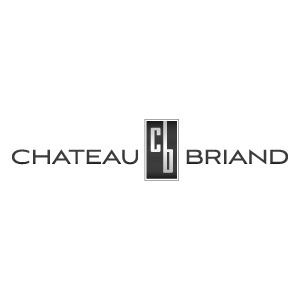 If that’s not enough, Chateau Briand also provides award-winning cuisine created by the renowned Scotto Brothers, combined with impeccable service from their courteous staff. Each menu is designed specifically to suit your personal preferences. When it’s time for me to take photos, we can make the most of Chateau Briand’s signature photo salon. The elegant space includes stunning décor, a welcoming open fireplace, a baby grand piano and a series of paintings inspired by Monet. Because you want your wedding day to be a singular event, Chateau Briand offers a unique setting that will make your special moments unforgettable. In this glamorous Long Island venue, you will be treated like celebrities. You can meet with professional event specialists to work with you every step of the way, to ensure that your dream wedding becomes a reality in grand style. Chateau Briand’s award-winning banquet team will work with you to customize a wedding menu that will stun your palate and cater to the style and needs of you and your guests. This venue guarantees exceptional catering and creative ideas for your reception, however large or small. You know you can rely on Chateau Briand because they have been fulfilling the desires of Long Island brides and grooms for decades. You will find this spectacular destination in Carle Place, near Garden City. The venue is home to over 16,000 square feet of sophisticated wedding, reception and dining areas. Their gorgeous gardens invite with waterfalls, palm trees, fire coves, and private cabanas.